This is a compensated campaign in collaboration with Nabisco and Latina Bloggers Connect, however all opinions and photos are my own. Do you remember when you were a kid and the minute you got home from school you would drop your backpack on the floor and head straight for the cookie jar? I remembering sticking my hand in and just hoping that there was at least one Oreo left. For as long as I remember Oreo's have been a part of la merienda and in my home, they still are. Seeing my daughters smile as I place an Oreo in front of them as they sit down to do homework, makes me smile too. Oreo's are good by themselves or with a glass of milk, but they really shine in desserts. 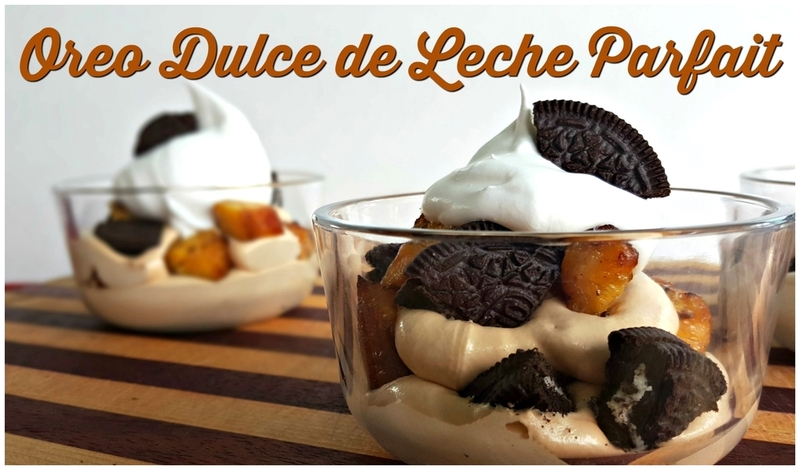 In this Oreo Dulce de Leche parfait, they're super easy to make and SO DELICIOUS! The thing I love about parfaits is that you can make a large version in a trifle for a party or a small cup parfait. I decided to make small versions this time since I knew my kiddos were going to be enjoying them. But I can't wait to make this as a trifle! 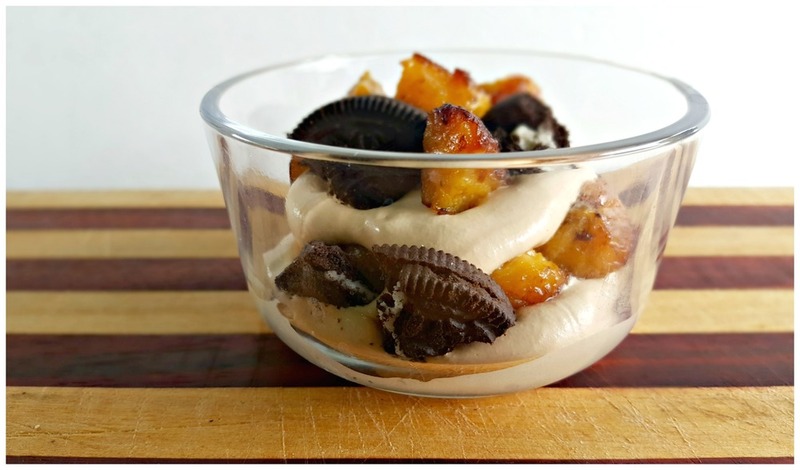 Also check out how few ingredients are needed to make this super quick and delicious dessert. There really is not much prep needed for making these parfaits. The only ingredient that requires a little bit of work, is the frozen plantains or maduros. These need to be fried in a little bit of oil for a few minutes on each side. I've never bought these before to cook myself and I was really surprised at how tasty they are coming from the frozen section. They crisp up perfectly and add a nice flavor and texture to the parfait. 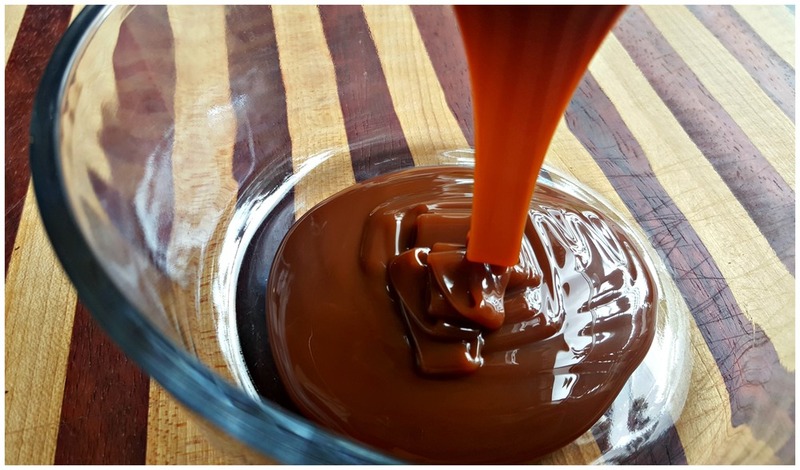 Mix the caramel or Dulce de Leche and 1/2 cup whipped topping in medium bowl. Stir in 1 cup of the remaining whipped topping. Chop cookies and maduros into quarters. Set aside a few quartered cookies to top off and garnish. Next, layer the parfait glasses with a heaping spoon of the whipped topping/dulce de leche mix. Then add a layer of chopped cookies and maduros; repeat layers. Last, top with remaining whipped topping and finally garnish with quartered cookies. That's it! These are a perfect dessert or treat for everyday merienda or to celebrate Dia Del Niño. Do you celebrate Día Del Niño in your home? If you are wondering, El Día Del Niño or Children's Day is celebrated as a tribute to children in Mexico on April 30. Whenever you make these, I guarantee your family will feel loved. Isn't that the best part of cooking for your family? The feeling you get when you see happiness on your loved ones faces. So, now I'm wondering, What's your favorite way to eat an Oreo? Let me know in the comment section below. Oh and don't forget to get your coupon here! Check out this Pinterest board for more easy-to-make recipes that feature your favorite Nabisco favorites: Oreo, Chips Ahoy!, Ritz and Honey Maid! This is a sponsored conversation written by me on behalf of Nabisco. The opinions and text are all mine.